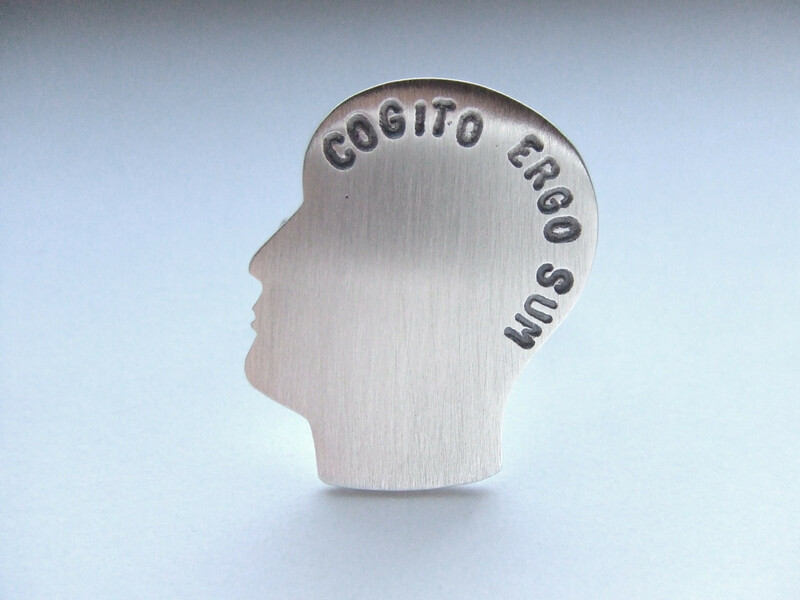 Descartes is famous for saying “Cogito ergo sum” – “I think, therefore I am” (though the original phrase was actually in French- “je pense, donc je suis.” This phrase has become a philosophical foundation and an aphorism embraced by many. If we’re ever doubting our existence (not that I think this is a common worry for people), the very fact that we’re about to have such dubious thoughts enforces the fact that we must exist. I just read an article on embodiment that ends by suggesting maybe a different aphorism is more appropriate in light of growing evidence that our physical bodies play a crucial role in cognition- I am, therefore I think. I think this radical reversal of such a well-known, seemingly-timeless phrase really nicely demonstrates the radical shift in cognitive science that’s being brought about by the embodiment hypothesis. Until recently, thought was assumed to reside solely in the brain. Even though we use our physical bodies to perceive the world, those sensations were considered to be merely signals that were meaningless until the brain made sense of them. But now, evidence that our bodies are an inseparable part of the thinking process is rapidly growing, and cogito ergo sum seems to miss the mark as a descriptor for the relationship between body and thought. I came across a similar quote in a novel by David Mitchell: “The soul is not a noun, but a verb”. Though most Cog Sci rejects the notion of a Cartesian soul, I thought the line was unintentionally a succinct tagline for the enactivist hypothesis if you’re willing to replace “soul” with “mind”. Enactivism seems to be the flip side of the embodiment coin, I don’t think you can really accept one hypothesis without the other. I love the quote and also agree about the interdependence of embodiment and enactivism- having a body without actually using it as a means of cognition doesn’t mean much.